Between a towing bar and mobile nitrogen supply, the military aviation version of Kärcher... to clean either dirty part of aircraft or various kerozen or hydraulic leaks left on the ground... 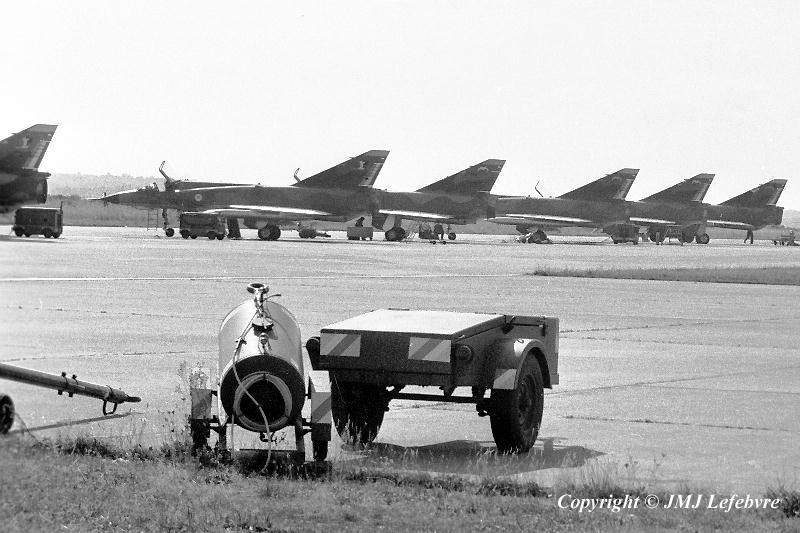 Similar devices are used at the Cazaux air base to wash salted aircraft after gunnery sorties low over the sea. Behind, without no man's land, the unvisible border between aircraft of 'La Fayette' and 'Dauphiné' squadrons.